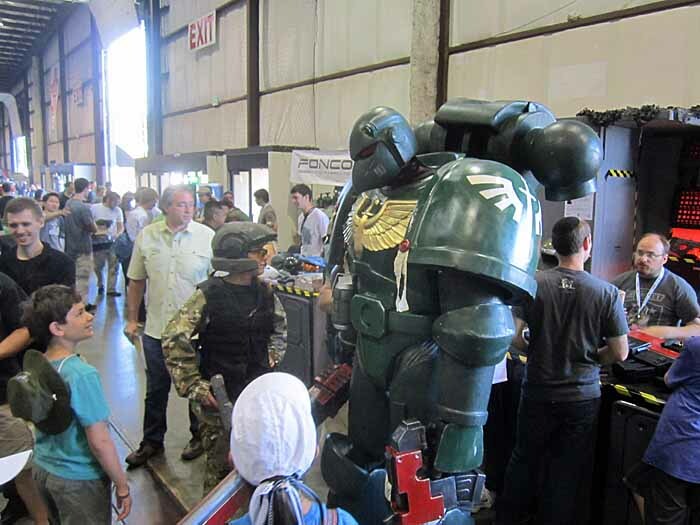 But the absolute best part about any of these builds is seeing the response they get when they're out in public. 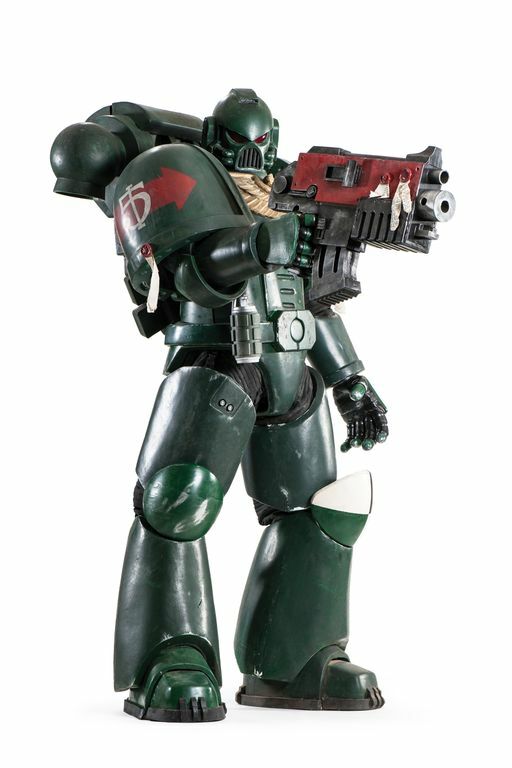 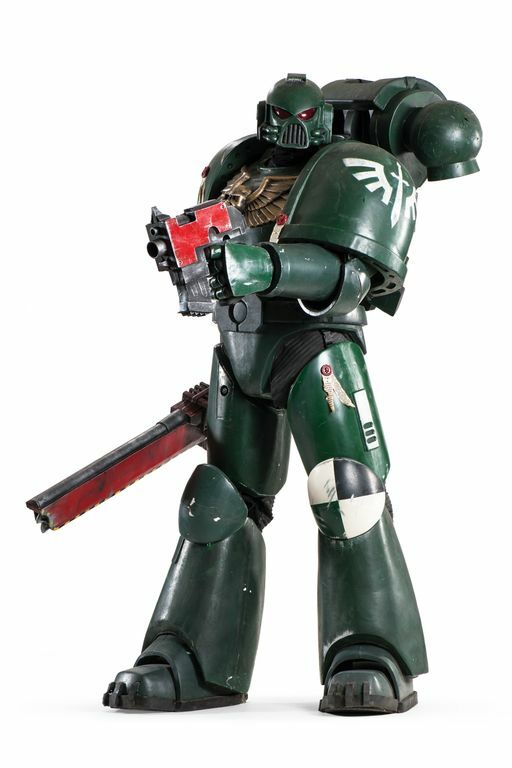 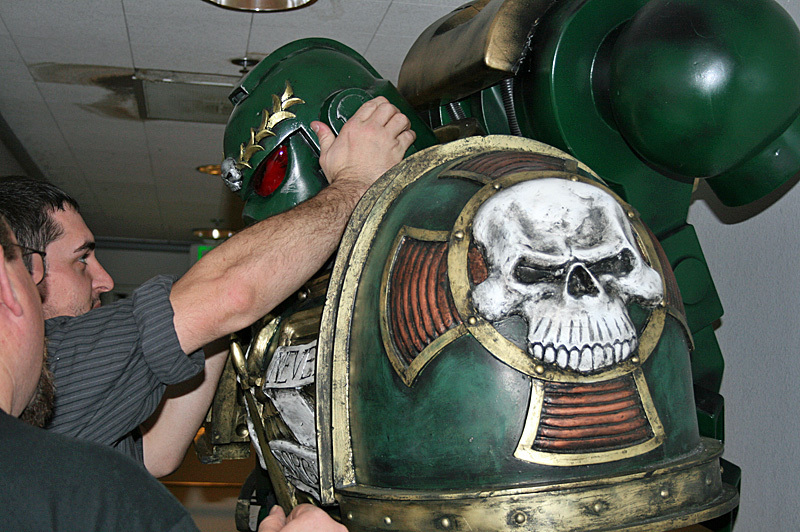 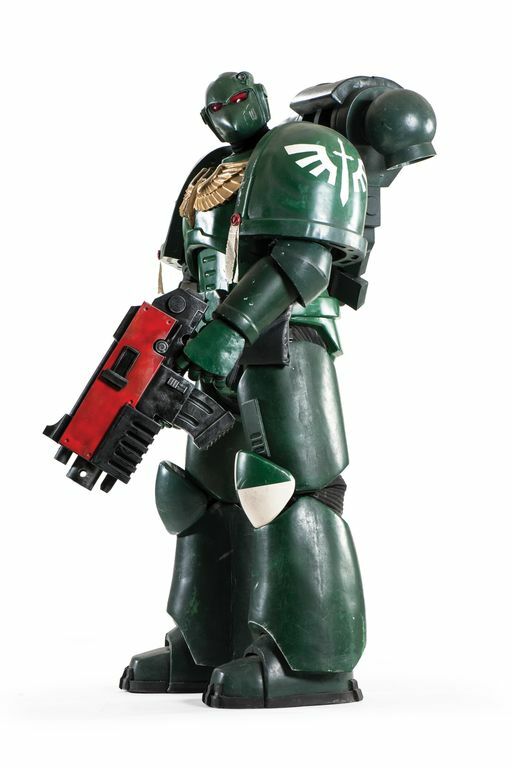 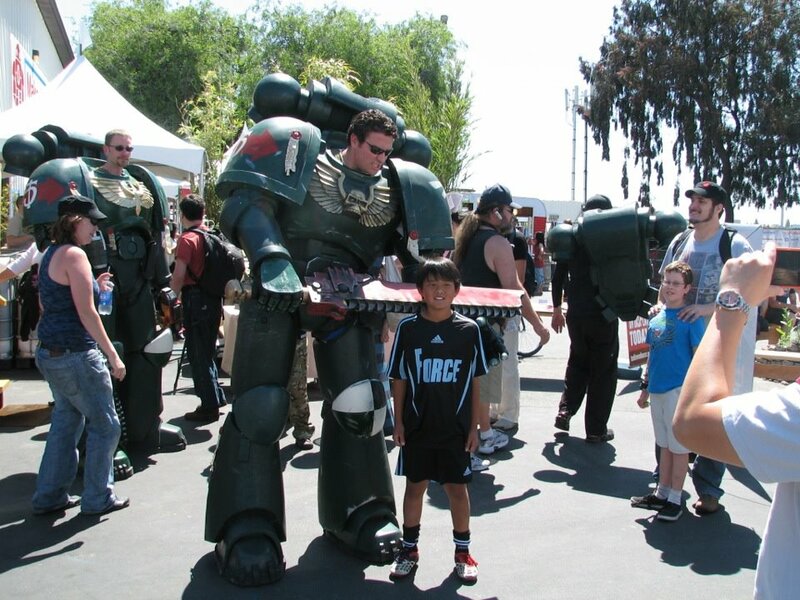 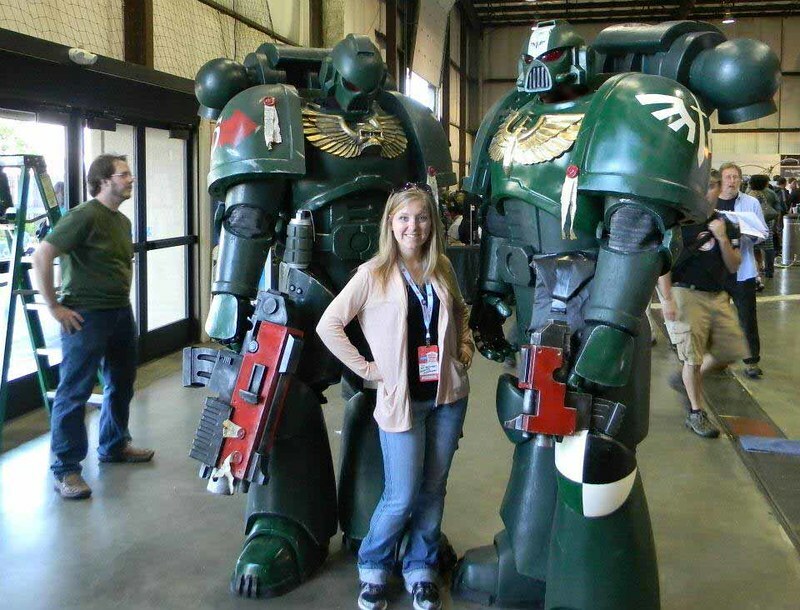 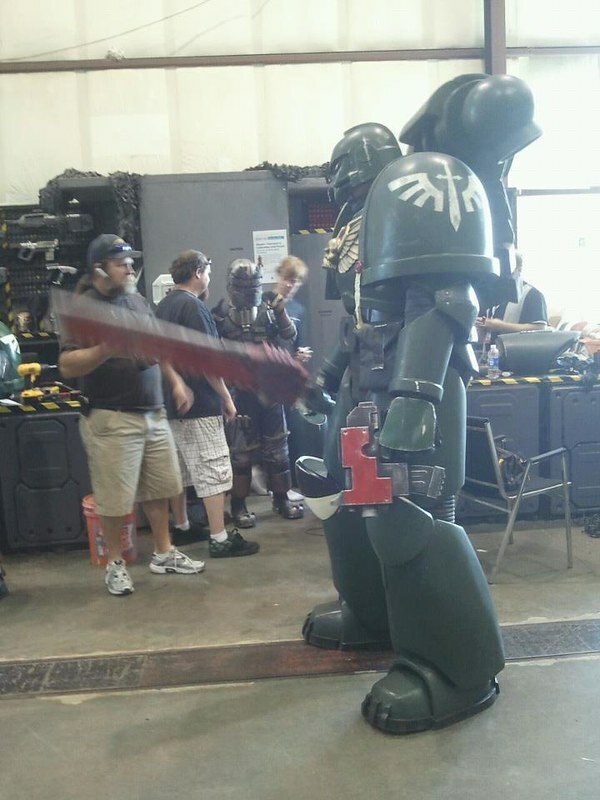 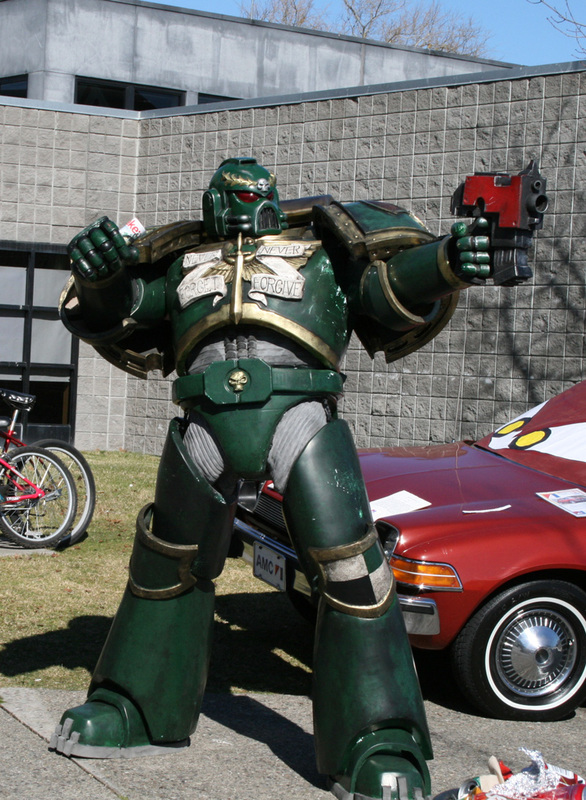 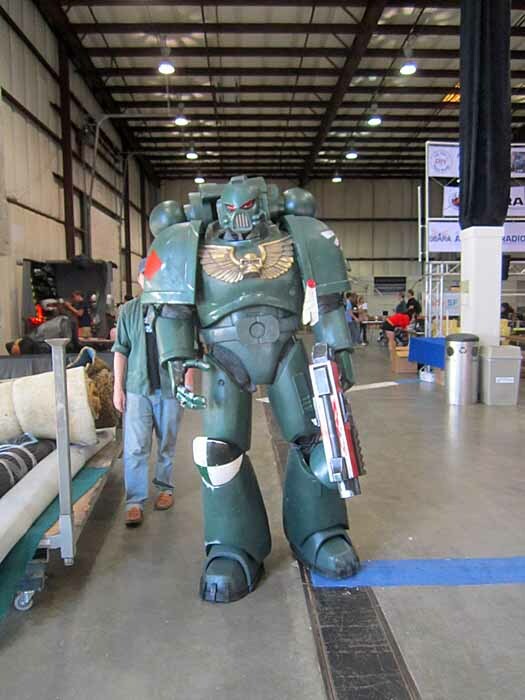 Here's a few pictures and videos of the Space Marines out and about. 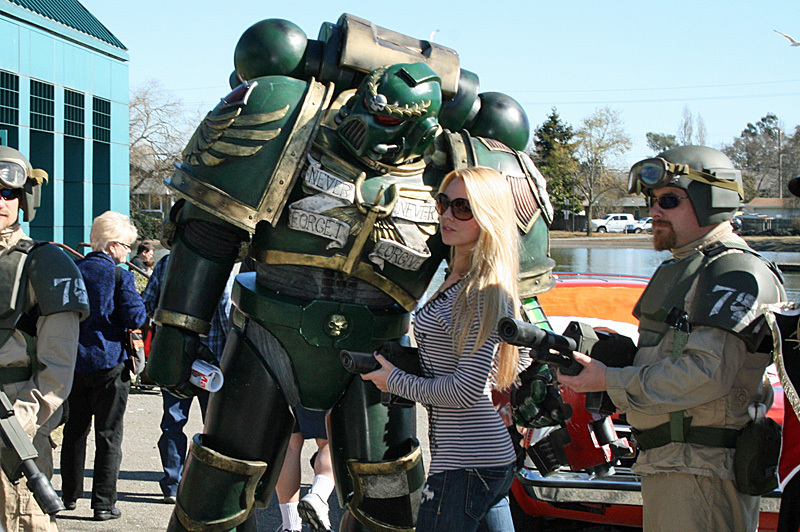 When the event began we had two suits all put together and walking around. 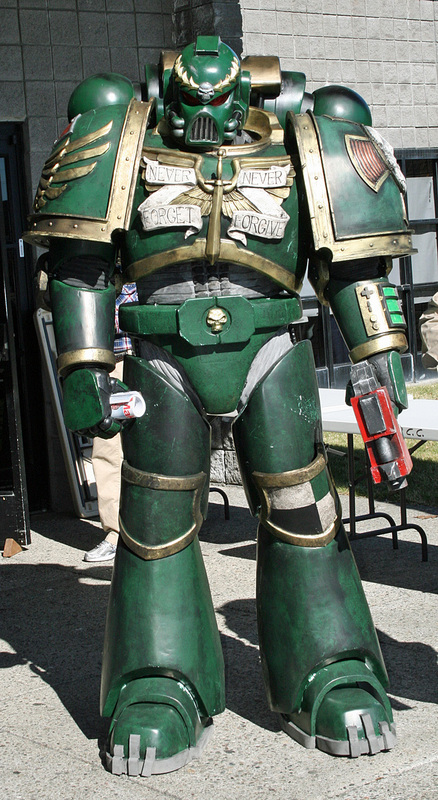 The third suit was assembled on location and was walking around by the middle of the second day. 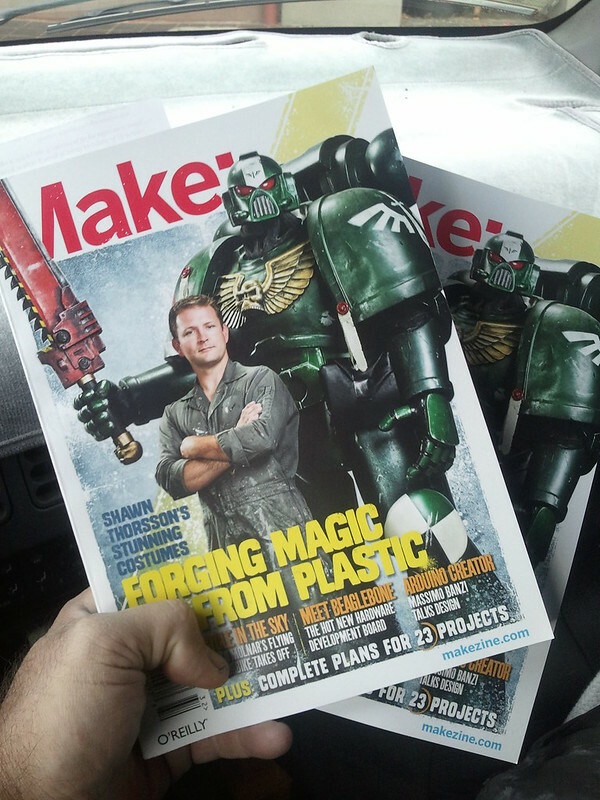 You can see more about that issue of Make magazine at http://makezine.com/32. 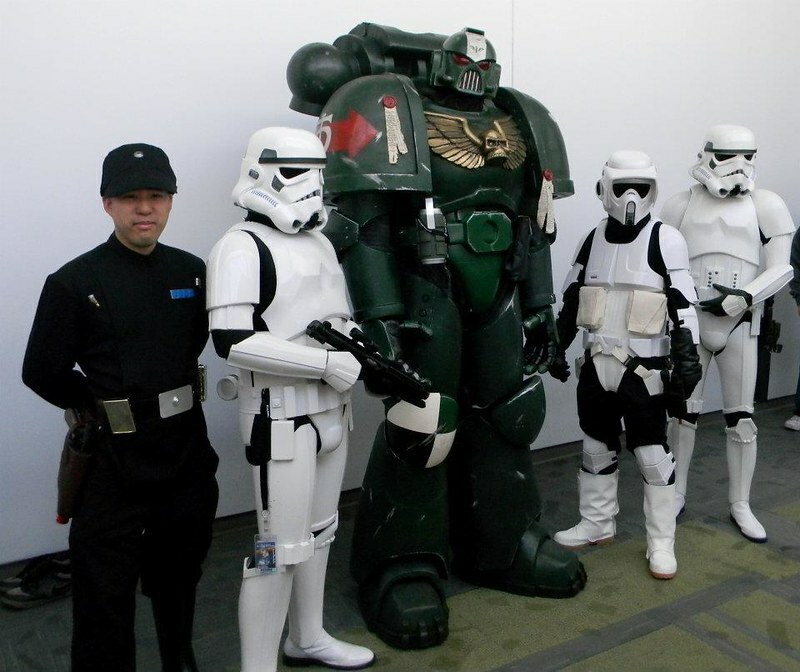 In case you're wondering, that guy's not at all short for a stormtrooper.